Two Men Have Been Charged for Defrauding Investors Through an ICO Called Centra. Prosecutors Say the Men Falsely Claimed Centra’s Debit Card Could be Used Wherever VISA and MasterCard Are Accepted. [Post Updated May 24, 2018] Cryptocurrencies are probably here to stay. Millennials love them and even banks and a couple countries are looking to blockchain technology to launch traditional currency alternatives. But a Crypto Visa card? It sounds like a great idea, but the SEC says it was just a giant scam. The agency and has charged two Florida men with illegally raising $32 million in a scheme claiming false ties to Visa Inc and MasterCard. Both the Department of Justice and the Securities and Exchange Commission (SEC) say that Sohrab “Sam” Sharma, 26, and Robert Farkas, 31, ripped off investors when raising money for their new crypto venture, Centra Tech and the Centra token and Centra debit card. A Facebook post of a smiling Mayweather holding a Centra debit card has been removed from the Internet. Media sources say that Farkas was arrested last week as he attempted to fly to South Korea. Authorities say that just prior to his arrest he had asked a Centra lawyer to research U.S. extradition laws. If the government’s allegations are correct, Centra Tech’s scheme was especially brazen and sophisticated. In addition to using paid celebrity endorsements, Centra’s website claimed it had hired a lawyer from a prominent law firm as the company’s CEO. A former Visa compliance officer was listed as Centra’s chief security officer. The company also touted having a former Credit One Bank consultant on board as COO. The SEC says that some of the “executives” were fictitious made up names with phony biographies. According to the SEC, between July 30, 2017 through October 5, 2017, Sharma and Farkas raised at least $32 million from thousands of investors through the sale of unregistered securities issued by Centra Tech., Inc. The government says that the two men controlled the company. The Centra tokens were issued in a so-called “initial coin offering” or ICO, a term that is meant to describe the offer and sale of digital assets issued and distributed on a blockchain. The men promoted the Centra ICO by claiming phony relationships between Centra and Visa and MasterCard. Although Sharma and Farkas claim their offering is not a security, the SEC says otherwise. They say the men illegally sold unregistered securities and made material misstatements and omissions designed to deceive investors in connection with the offer and sale of securities in the Centra ICO. The Commission claims that Centra marketed its ICO by using postings on the internet. According to prosecutors, Centra lured investors with the promise of creating a line of products that would enable holders of various “cryptocurrencies” to convert those assets easily into U.S. dollars, and spend “cryptocurrencies” in real time with the “Centra Card.” The Centra Card resembles an ordinary debit card. Investors were told that they could use their Centra Card wherever MasterCard or Visa cards are accepted. In fact, Centra Tech’s website showed a picture of the Centra Card on its website. The card clearly depicted a Visa logo. A copy of the SEC’s complaint can be found here. On May 21st, Sohrab Sharma and Robert Farkas were arraigned in a Manhattan federal court. Both entered not guilty pleas to charges of securities fraud, wire fraud and criminal conspiracy. A third defendant, Centra Tech’s former COO Raymond Trapani, was also charged but has not yet been arraigned. Media reports say that Sharma at some point realized that Centra’s marketing materials were misleading and ordered Farkas and Trapani to remove the misleading “fufu” from Centra’s website. Are ICOs a Securities Offering? The major securities laws in the United States were written in the 1930’s as America grappled with the Great Depression. Today, technology is changing so fast that Congress can’t catch up. That is very evident in the area of cryptocurrencies. Cryptocurrency offerors often claim they are outside the jurisdiction of both the SEC and CFTC. They say that ICOs tokens are not securities. Obviously, the government doesn’t agree. Thus far the courts have sided with the regulators, a good outcome for investors. An Initial Coin Offering or “ICO” is a fundraising event in which an entity offers participants a unique digital asset, often referred to as a “coin” or “token,” in exchange for consideration (often in the form of other digital assets — most commonly Bitcoin and Ether — or fiat currency). The tokens are immediately tradable. According to the SEC complaint, the initial share price for the Centra tokens was 15¢. As Centra ramped up its marketing, the price of Centra tokens soared to $4 in January of 2018. After the SEC and Justice Department filed charges, the price of those shares has plummeted. ICOs are typically announced and promoted through public online channels. Issuers usually release a “whitepaper” describing the project and the terms of the ICO. To participate, investors are generally required to transfer funds (often Bitcoin or Ether) to the issuer’s digital address, online wallet, or other account. After the completion of the ICO, the issuer will distribute its unique “tokens” to the participants’ unique address on the blockchain. They are also marketed through social media, press releases, websites and sometimes, by other financial professionals. Although the concept of cryptocurrency is probably here to stay, recovering money for victims of cryptoscams is extremely difficult. 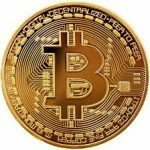 MahanyLaw is one of the few law firms that help victims of cryptocurrency fraud recover their money. Our practice, however, is limited to prosecuting cases where the ICO investment involved a stockbroker or investment advisor. Those cases are few and far between. When ICOs are marketed through white papers, Facebook and websites, getting back an investor’s money is difficult. In many cases, it is almost impossible to determine where the offeror is even located! Because the people running the ICO want to be paid in digital currencies such as Bitcoin, tracing the money is also quite difficult. Regulators are trying to stop these scams before people lose money. The SEC and several states are to stem the rising tide of scam and phony ICOs. Unfortunately, the bad guys launch new ICOs faster than the government can shut them down. And shutting them down doesn’t put money back in the investors’ pockets. Did You Lose Money in a Cryptocurrency or ICO Scam? As cryptocurrencies continue to rise in popularity, we expect more stockbrokers and investment advisors will try to get in the act. The big brokerage firms are certainly worried and with good reason. Millennials are turning to cryptos instead of traditional investments. That means a loss of commission revenues. They also know how volatile ICOs can be. Many brokerage firms refuse to permit their brokers to sell these investments. Unfortunately, money talks and greed often wins out over ethics. We are finding some financial professionals are now peddling these investments on the side. In industry terms, that is called “selling away.” When a broker sells a financial product without his employer’s approval, he is said to be selling away. At least two crypto investment funds have been launched. Because of the volatility of the underlying crypto assets, however, these funds are extremely volatile. That makes them unsuitable for most investors. If there is any good news here, investors who purchase an ICO or a crypto fund offering through a licensed broker may have a good claim against that broker’s employer. Selling away subjects both the broker and the brokerage firm to liability. or by phone at (414) 704-6731 (direct). All inquiries are kept in strict confidence.